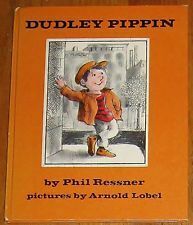 This quirky collection of vignettes about a boy named Dudley Pippin made me laugh out loud. The stories are written in a unique style that is both funny and poignant, and each one is pleasantly unpredictable. This book is just right for an early elementary audience, to read independently or to hear read aloud. Sign into Goodreads to see if any of your friends have read Dudley Pippin.